A LEADING United Nations official has warned that a decision to strip the Housing Executive of responsibility for social housing could lead to political abuse of the system. UN Special Rapporteur Raquel Rolnik visited Northern Ireland as part of a fact-finding mission on the right to adequate housing in the UK. 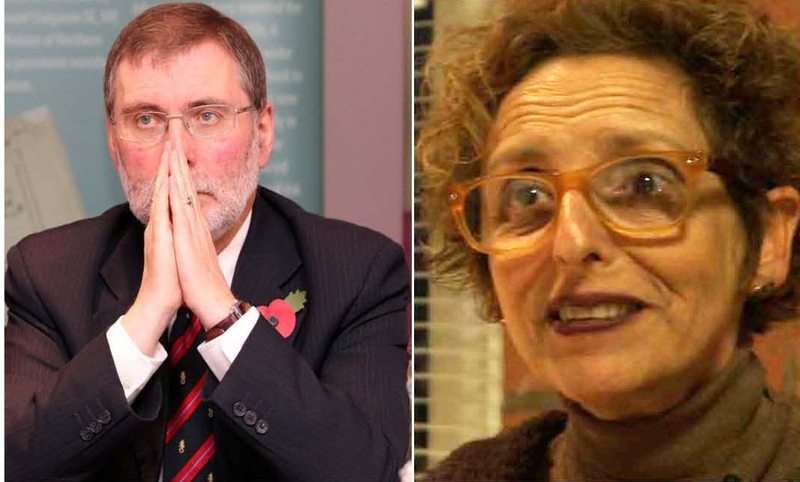 In her only Northern Ireland interview – with The Detail – Ms Rolnik also voiced concern that proposals to hand over control of planning to local councils by 2015 could potentially increase sectarianism and discrimination. Ms Rolnik visited the region to assess whether or not administrations in England, Scotland, Wales and Northern Ireland are effectively implementing internationally agreed policies to protect citizens’ rights to adequate housing. It is the first information-gathering visit by an independent expert designated by the UN Human Rights Council to monitor the UK’s implementation of the right to adequate housing and non-discrimination. The UK is a signatory to a number of international treaties which compels it to protect the right to adequate housing and non-discrimination. As part of her report, Ms Rolnik visited Northern Ireland on Friday September 6 to meet with senior government officials, housing experts and lobby group Participation and the Practice of Rights (PPR). Not enough is being done to implement policies which do exist to protect the vulnerable and encourage integration. Ms Rolnik said that those in social housing in Northern Ireland have suffered more than their counterparts in Britain from recent government welfare cuts due to the segregated and politicised nature of public housing here. “I would say the fact that the existing housing stock, especially in social housing stock, which is very important for the city’s fabric and for the region’s fabric as a whole, is highly segregated and the segregation poses additional challenges. “It makes it even more difficult, I would say, for low-income people who have a lot of needs…because it’s not only to access housing; it means access to housing in particular places and (areas). The UN Special Rapporteur said that while the Catholic community remained the single largest sector in need of social housing there were other sectors of society here who also faced major difficulties in housing. She expressed concern that Catholics continue to face significant housing inequality in North Belfast despite a previous UN report in 2009 calling for action to be taken on the issue. “The housing needs which are in the Catholic community clearly are greater. This is a continuous trend, but at the same time this is not the only issue. “I think it’s very important to raise that there are vulnerable groups, cross-religion, who are (also) having a lot of difficulty accessing housing. “I would say people with disabilities; I would say people with multiple needs, mentally ill people. Ms Rolnik said that the lack of social housing for members of the Travelling community remains a major area of concern. “Travellers are also at the end of the line in terms of the availability of culturally adequate housing options for them. Ms Rolnik expressed concern that government departments and statutory agencies have failed to take effective action to tackle inequality in housing, despite an obligation to do so under existing policies already in place. “The government have targets, declarations, legislation that commits (them) to address the questions and the problems, but the problem is that in practice what I have seen is that there is not that much action in practice. Earlier this year DSD Minister Nelson McCausland announced that the Housing Executive was being stripped of its role as landlord of 88,000 tenants in social housing, with the role to be handed over to individual housing associations instead. “One of the areas, and this is specific to Northern Ireland, is the clear idea that was declared by the minister to transfer the management of the existing housing stock to housing associations. “What I heard from the testimonies (of tenants) is that having a central Housing Executive, with a central planning strategy and a clear system of housing allocation, based on points and housing needs, is highly valued here. “It is seen as a measure to face sectarianism, to have proper allocation systems, not politically biased. Ms Rolnik said that Housing Executive tenants whom she’d met during a visit to North Belfast, expressed concerns over Mr McCausland’s plans to abandon the existing policy of allocating social housing on a points-based system of social need. “This is one of the discussions that the minister is also proposing, to change the system,” she said. “I heard concerns from people that the (existing points based) system is not perfect, but it has this criteria of need embedded. Ms Rolnik also expressed concern about proposals to transfer control of planning from the Department of the Environment (DoE) to local councils by 2015. “Planning systems reforms are also being considered in Northern Ireland, devolving powers to local councils, which will also be territorially redefined,” she said. Chancellor George Osborne’s reform of the social welfare system has caused widespread controversy, most notably the so-called ‘Bedroom Tax’, which targets those in social housing who do not use all the bedrooms in their homes. While the reforms have already been implemented in Britain, the Stormont Assembly has so far stalled on their introduction here. If the welfare reforms are eventually forced through here, as expected, more than half of the existing number of tenants in social housing (32,650) look set to have their benefits cut. Last week Secretary of State Theresa Villiers warned the Assembly that the existing block grant funding from the Treasury would be reduced if the ‘Bedroom Tax’ was not implemented here. “If this ‘Bedroom Tax’ arrives here then you add another pressure upon the existing situation, aggravated here, with the fact that there is no housing stock available for the people to move. “People will have less money because their benefits will be cut. Then if they don’t have money they won’t (be able) to afford to pay rent and then they will be homeless or they will stop eating in order to meet their rent. “There are a lot of possible violations of human rights. “There is a very, very serious threat if this is implemented here. “Especially for the most vulnerable groups, for people with disabilities. The UN Special Rapporteur’s report (which is due to be published this morning) will be highly critical of what she believes is a concerted attempt to dismantle the social housing system in Britain. “The UK was remarkably known as a country where, if you were poor it doesn’t mean necessarily that you are badly housed, as in the majority of the countries (in other parts of the world). “Because there was in place (in the UK) social housing available for the people the welfare system (was also available) to cover this gap. “I am very afraid that this has been dismantled and will be dismantled over and over, even more now with fiscal austerity measures. “Now, here we are talking about retrogression, we are talking about going backwards. “This is the threat, this is the fear. In line with international protocol, Ms Rolnik only conducted her housing mission following an invitation from the UK government, which, again in line with international protocol, made arrangements for her to meet with government officials in Scotland, England Wales and Northern Ireland. However Ms Rolnik says that a meeting between herself and Mr McCausland was cancelled. A deputy director and other staff were sent instead. Ms Rolnik said she regretted that the meeting had not happened. “Yes, of course, it’s always very interesting and very useful to see what political leadership’s thinking of the issue. Yes, I regret (it). “It’s a question of agenda. I understand, I was here for just one day. In a statement to The Detail on Wednesday night a DSD spokeswoman confirmed that Mr McCausland had not met with the UN Special Rapporteur, citing “diary commitments”. The DSD statement defended the department’s role over social housing and challenged a number of the criticisms made by Ms Rolnik. Read the full DSD statement here. Ms Rolnik says that while it is up to individual governments to accept or reject recommendations, the prospect of negative publicity in relation to human rights’ abuses could prove to be an effective sanction. “I know that the UK government is very keen about their commitment and position on human rights in the (UN Human Rights) Council. “It is a vocal country defending human rights. A final report on the Special Rapporteur’s visit will be presented to the Human Rights Council in Geneva in March 2014.